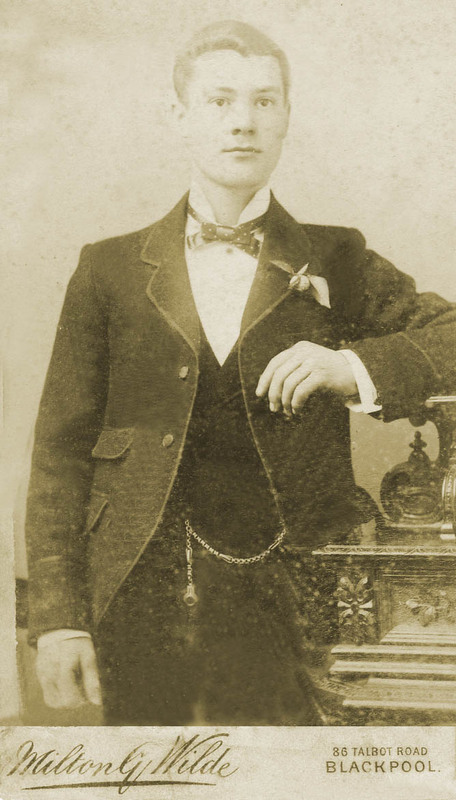 Edwin Alfred Holden the youngest of seven boys was born on 15th March 1875. While Edwin worked in the family boot making business his local was ‘The Trust in Providence’ public house. Edwin combined his drinking with courting the Landlords daughter, Lucy Blanche Elizabeth who worked behind the bar. The couple married at St Andrews Church Netherton in October 1898, Edwin was 23 years old and his new bride 20. Edwin’s father-in-law persuaded the newly-weds to take the tenancy of The Britannia Inn at Northfield Road, Netherton where they stayed for 6 years. 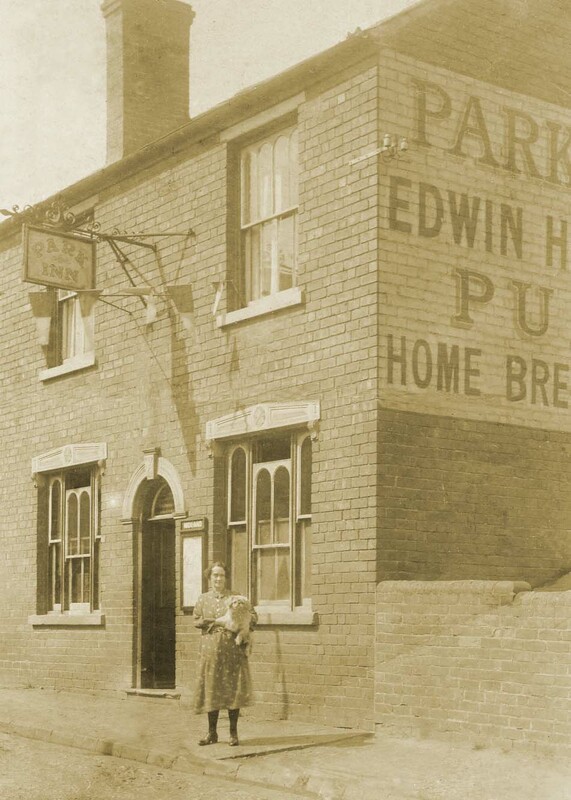 In 1904 Edwin and Lucy moved to ‘The Struggling Man’ in Shavers End Dudley which was another Atkinson’s pub and in 1907 they then moved to The Horse and Jockey, Dibdale Lane, Lower Gornal where Edwin Alfred Holden (Teddy) was born on 30th November 1907. Teddy had two sisters born before himself but neither survived more than a few months. After a year at The Bloomfield Inn in Tipton a move to The Summer House in Woodsetton was made in 1910. The Summer House was a free house and Edwin and Lucy’s first tenancy away from Atkinson’s. Edwin bought his pony and trap to Woodsetton from his drinking trips to The Yew Tree Hotel, Wall Heath, The Crown at Claverley and Clent and he also took his beloved dog, whose one claim to fame was that he had bitten most of the customers. So beloved was his dog that after his death he was stuffed and put on display at the pub. The Holden family stayed at The Summerhouse until 1920 but in August 1915 Edwin and Lucy bought the freehold of The Park Inn in Woodsetton. The Park Inn George Street was purchased freehold from Atkinson’s Brewery for £750.00 on 13th August 1915. The Park had a cottage and a garden at the side and at the rear a large, popular, well kept bowling green and behind the pub was Atkinson’s malting. Harry ‘Ossie’ Round, the Brewer at this time brewed a very dark strong mild twice a week and special strong ale at Christmas. Edwin, Lucy and Teddy moved from the Summer House to The Park Inn on 9th April 1920 after the end of their 10 year tenure. Edwin at this time needed constant medical attention and after holding the licence of The Park for 6 months he died on 11th August 1920 aged just 45 years old. His funeral was well attended and nine coaches followed the Cortege. 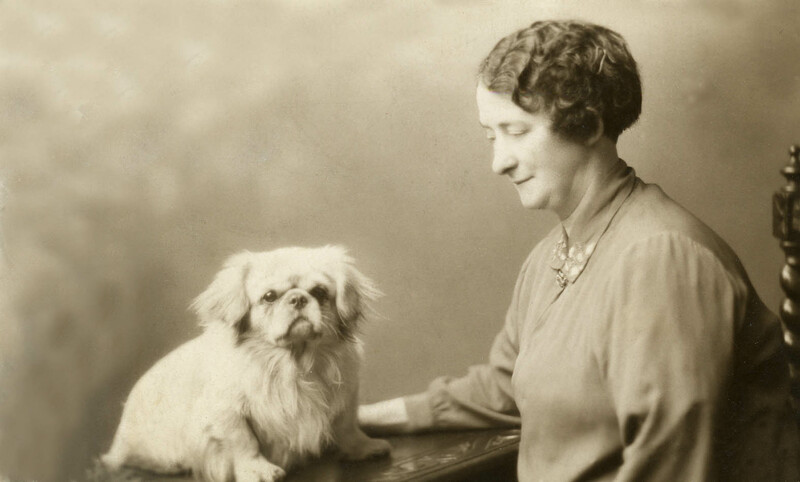 Lucy took over the Licence of The Park and remained the holder until 1938. In October 1928 Lucy acquired the freehold of The Painters Arms, Avenue Road Coseley from William Butler for £2375 as a present for Teddy who was studying brewing at Birmingham University. Lucy worked hard at The Park and she, like Edwin, took a keen interest in many charitable causes but her special attention was reserved for Coseley Children’s Holiday Camp Fund, for which she raised a large amount of money. The bowling green was her pride and joy and it was kept in impeccable condition by a few of the regulars who were paid in pints per week. By 1930 Lucy’s eyesight was beginning to fail as a result of diabetes and by 1934 she was blind. In spite of her handicap she was still active in the day to day running of The Park Inn. Teddy Holden was now brewing at The Park with harry Field and doubling up as licensee of the painters Arms where he had met Clara Perry-Hammond. Clara was a local girl with two brothers, Samuel and Wilfred. Teddy, now a councillor for Coseley west Central and Clara were married on June 11th 1938. Three weeks before the wedding Lucy Blanche Elizabeth died at The Park Inn, aged just 60 years old. Teddy and Clara took over the running of The Park Inn and in 1940 Maureen Blanche was born. 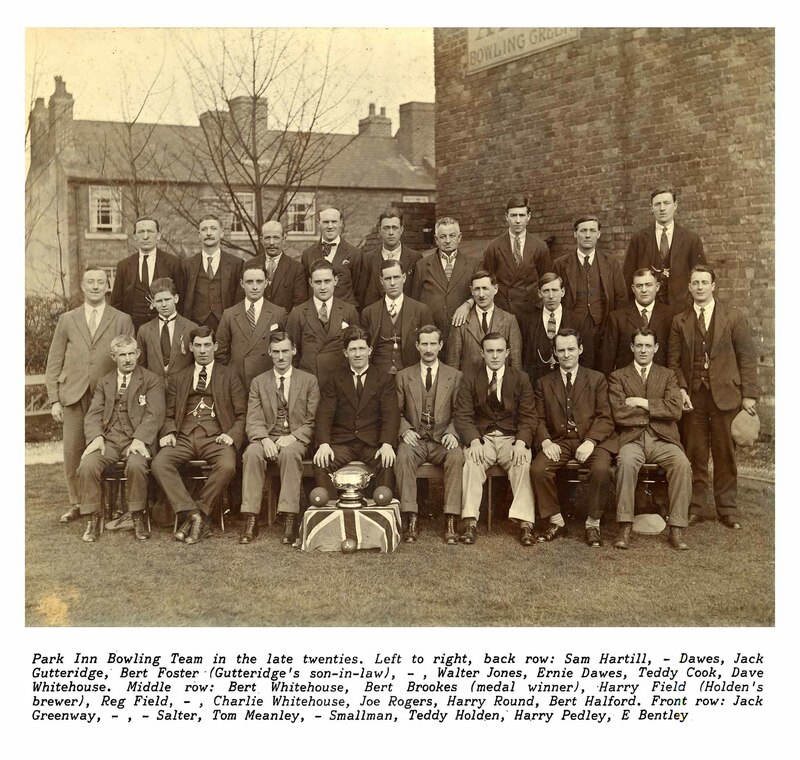 From 1940 – 1944 both Teddy and Harry Field were kept busy brewing beer for the local RAF stations war effort. The third public house added to the estate was The New Inn, ward Street, Coseley in 1944, it was bought ‘slightly bomb damaged’ for £2500 from Samuel and Sarah Timmins. Edwin Holden’s bottling Company was formed in 1945. Clara Holden’s brothers Samuel and Wilfred Hammond installed the bottling plant at the rear of the Park Inn and the Company bottled not only the Holden’s range of beers but national brews for distribution to clubs, free houses and wholesalers. Samuel, Wilfred and Teddy formed the Board of directors of the Bottling Company. 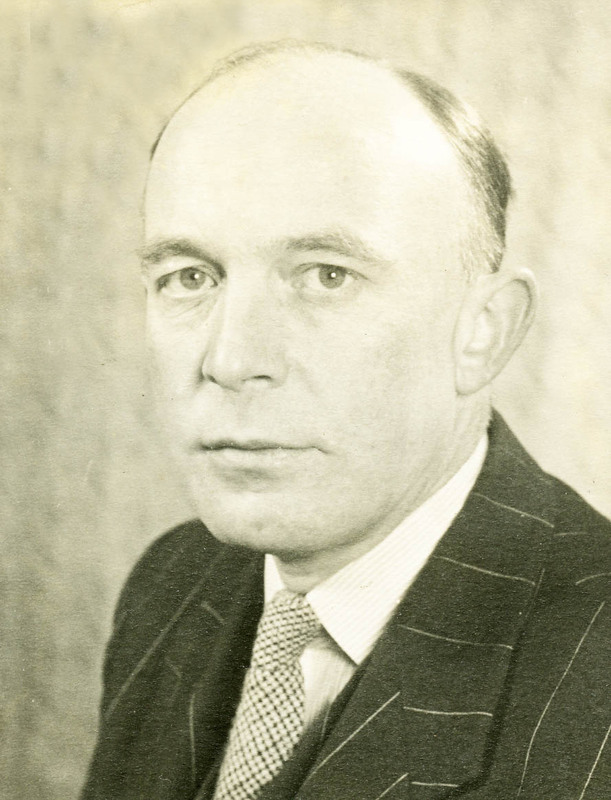 In August 1966 Sam Hammond died unexpectedly aged 52 years old having been a Director for 21 years and being involved with the Midland Bottlers Association and The national federation of Bottlers. Sam’s son Paul succeeded him in the Bottling Company taking over the Bottling in 1967 after spending two years at Phipps of Northampton Brewery as a student Brewer. Paul and his son Mark have worked tirelessly over the last 5 years together to completely refurbish and overhaul the bottling line as equipment and methods have changed greatly over the last few years. The Company now bottles for many well established Breweries alongside a lot of smaller micro and craft brewers. On 9th September 1945 Edwin Holden was born to Teddy and Clara. In 1946 Teddy added two more pubs to the Holden’s estate; – The Green Dragon, Cross Street, Bradley (Sold in 1971) and The Old Mill, Windmill Street, Upper Gornal; – Now renamed The Mill and fully refurbished in 2014. In 1949 The Blue Gates Inn, Church Street Dudley (Closed Nov 1960), The Rose and Crown, Bank Street, Brierley Hill and The Miners Arms, Ruiton Street Lower Gornal (Recently renamed the Chapel House) were added to the Holden’s estate. In 1961 a new boiler house was constructed to the edge of the old bowling green under the guidance of Sam Hammond. The old Brewery, which had been an extension on an extension was rebuilt and enlarged. A second hand copper and hop back were purchased and installed and the weekly Brewery barrelage was between 80 and 90 at a time – almost 25,000 pints per week. The copper and Hop back are still in operation today. The Company was registered in 1964 as Holden’s Brewery Limited, Hopden Brewery, Woodsetton. 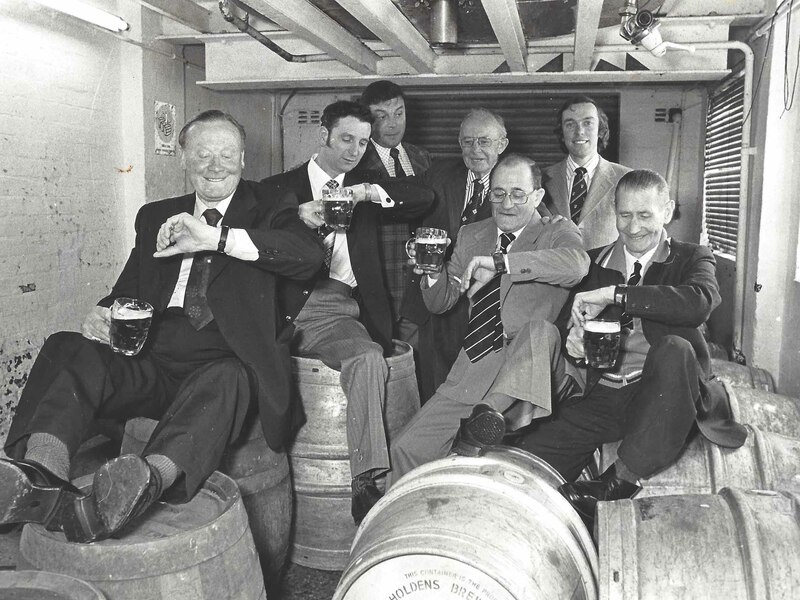 In 1965 Teddy’s only son Edwin joined him in the brewery after a pupilage at McMullen and Sons Hertford Brewery. Teddy and Edwin worked well together and during this time The Cottage Spring, Franchise Street, Wednesbury was leased and two years later bought outright, a lease was taken on The Old Bush, Skidmore Row, Daisy Bank (Closed in 2007) and The Royal Exchange, High Street, Bilston was added to the estate in 1970 – later renamed as The Trumpet due to its association with Jazz. In April 1968 young Edwin married his sweetheart Therese Baker at All Saints Church in Sedgley. 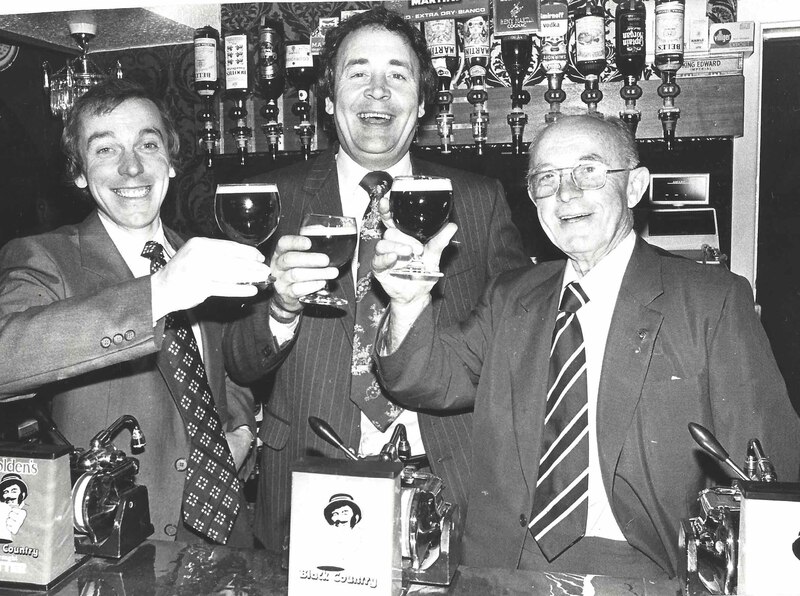 The seventies saw the introduction of our trademark Black Country beer drinker and the move to draught cask conditioned beer. Production was running at around 200 barrels per week (57,500 pints). The Wheatsheaf, Carters Green, West Bromwich was added to the estate in 1972 along with The Royal, Bloomfield Road Tipton and The Britannia, Hall Green Street Bradley however both of these pubs are now flats. In November 1971 Jonothan Edwin Holden was born to young Edwin and Therese followed by Lucie Victoria in January 1973. Last but by no means least, was the arrival of Abigail Blanche to Edwin and Therese in 1980. In January 1981 Teddy died suddenly at home in Seisdon aged 74 years old, he rests with his wife, mother, father, sisters and daughter at St Andrews Church, Netherton. The Prince of Wales, Darlaston Road, Wednesbury was leased and then subsequently purchased in 1985 along with The Swan Inn Providence Street (Jaspers), The Elephant and Castle Bromley Lane, Pensnett (Now a nursery) and The Old Bulls Head, Bilston Street Sedgley were added to the estate. The final purchase of the 80’s was The iconic Great Western, Sun Street, Wolverhampton in 1988. The Western went on to win National pub of the year in 1991 and continues to receive accolades for its fine ales and its warm and friendly welcome. 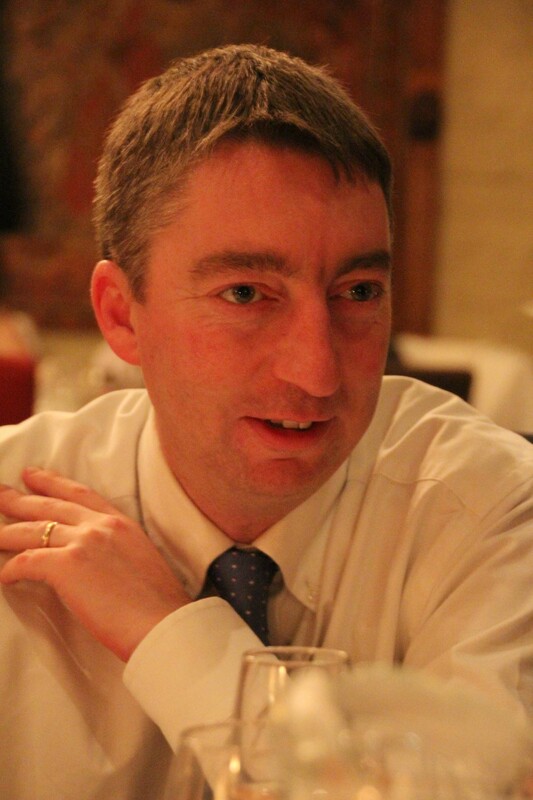 In 1991 Jonothan joined his father Edwin at The Brewery after a pupillage at Morrells Brewery, Oxford. Edwin and Jonothan worked well together and over the course of the next few years they went on to develop new products. Jonothan was instrumental in the creation and launch of Golden Glow which is now Holden’s best selling and multi award winning ale. During the 90’s The Ivy Bush in Smethwick (sold 2005) The Bell at Trysull, The Shrubbery Cottage Oldswinford and The Lamp Tavern, Bloxwich were also added to the Holden’s estate. In 1997 Edwin hatched a bold and daring plan after spotting a disused railway building along with an adjacent plot of land in Codsall. After 18 months of meticulous planning and precision the widely acclaimed Codsall Station was opened in 1998, this pub stands today as a testament to the vision and passion Edwin had for two of his favourite things, beer and trains. Lucie and Abigail joined their father and brother at the Brewery in the late 90’s. 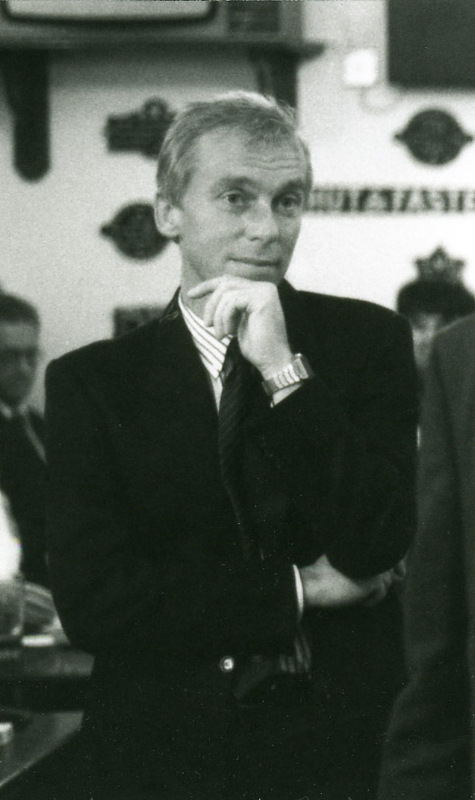 In December 2002 Edwin sadly died aged 57 after a short illness, however, with his great foresight and dedication the Brewery stood in great stead. Over the next 10 years there were purchases of three further pubs; The Waterfall, Warley, Ye Olde Robin Hood Inn, Ironbridge and The Fellows in Dudley. The Brewery was also subject to an on-going improvement plan, the old warehouses were taken down and rebuilt, a new two storey office block was constructed on the site of the old Off Licence, the filtration department moved along with the installation of 18 new tanks and we are currently in the final throws of seeing the new three-storey Brewery extension being completed which will incorporate new fermenting vessels, more conditioning tanks, a test kitchen and a new office suite. The Brewery is still run by the fourth generation of The Holden Family and whilst they all enjoy a very much hands on approach to the business, they are still just as committed to their proud history and heritage and to the generations to come.